Many of us across the states are halfway through Spring Break—which means your precious offspring have likely eaten their way through the fridge (and the pantry; and their leftover Valentine’s goodies). You could probably use something new and tasty that won’t send them bouncing off and climbing every wall in town. Right? 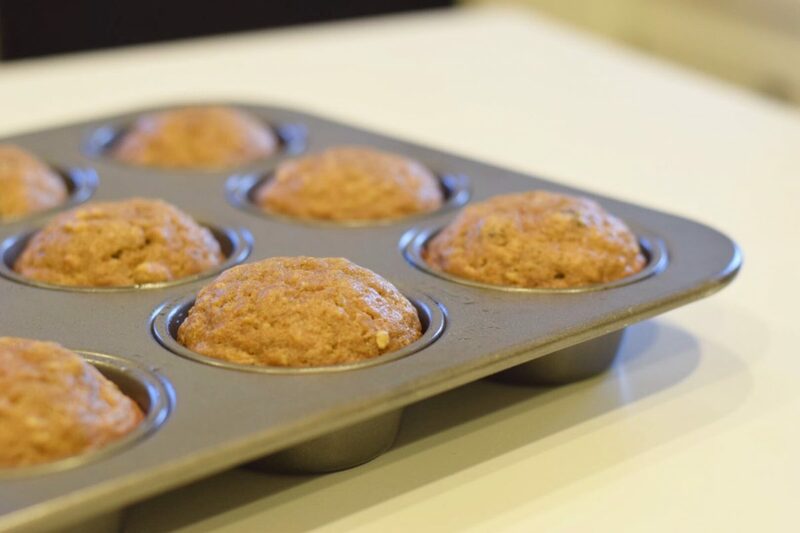 How about some healthy, yummy, kid-friendly banana muffins? Grease your muffin pan and preheat the oven to 325°. Mix coconut oil and honey first. Add eggs, mashed bananas, milk, and other ingredients—flour last, as usual. Fold in nuts or dried fruit (my kids love apples and raisins in theirs!). Bake at 325° for 20-ish minutes and enjoy 12 delightful treats. We like them best when they’re five minutes out of the oven or 10 seconds reheated in the microwave. I think you’ll find that they’re not only kid-friendly, but mama-friendly as well! So grab a book (or at least two pages out of a book), pour some coffee, and steal a few minutes to yourself.